Muito bom o seu blog. Parabéns!!!!! Parabéns pelos gráficos, bem didáticos. Deus continue te abençoando. Gláucia Barros – Rio de Janeiro – Brasil. 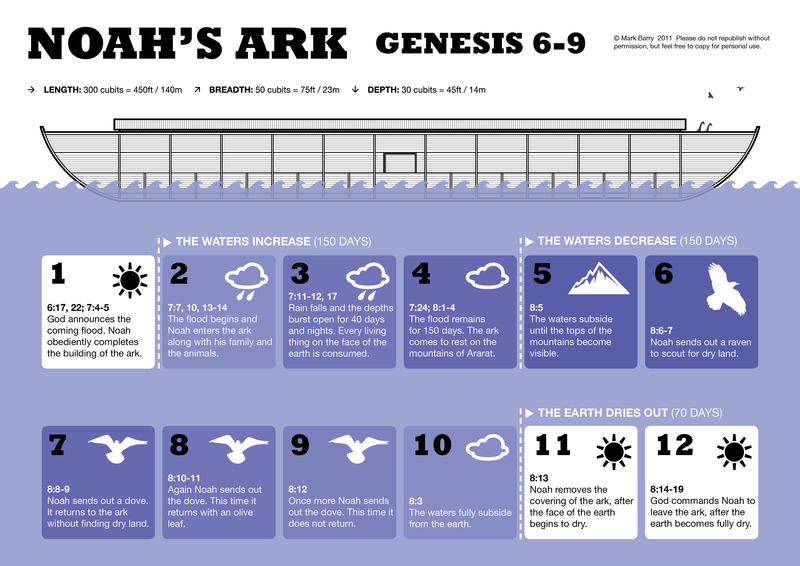 Noah and his family entered the ark Genesis 7:4, the Flood came 7 days later (7:10), and the Flood was produced not only by rain but by bursting of subterranean water (7:11). Thanks for the feedback, Jill. I’ve updated the graphic. Can I hand out copies of this graphic at my church on Sunday, please? I’m preaching on Genesis 7-8 and it will be really useful, particularly for the children in the congregation.